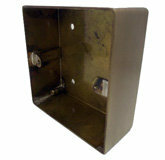 Part of the Large Size Socket and Switch Range - Single 92mm x 92mm, Twin 148mm x 92mm. The superior quality Mayfair Dual range is manufactured in our UK factory and has been designed to give you the benefit of two finishes combined on the same plate. The Mayfair Dual range fits nicely into almost any style of property and suits a multitude of interior design styles from contemporary to traditional or period properties. Given its simple and straightforward design with a larger plate with smooth rounded corners Mayfair Dual is the ideal range to solve the problem of not quite knowing which finish suits your interior design best – why not go for both with the Mayfair Dual range.. 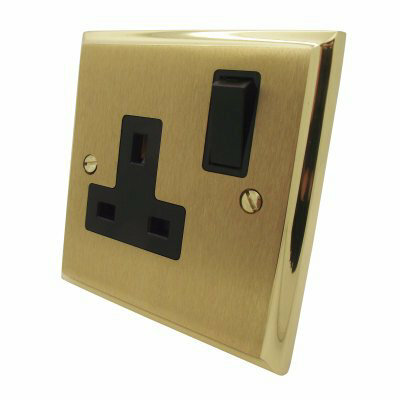 Finished in Satin Brass with a Polished Brass Edge or in Satin Chrome with a Polished Chrome Edge these heavier looking plates incorporate a step edge design that reflects these interior designs of many different periods. 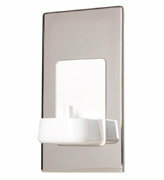 This range also comes with a choice of simple black or white inserts. This is one of our top ranges of classic electrical accessories with no detail overlooked in the manufacture of this superb range and is one of the most widely recognised ranges of electrical accessories available and are used in houses from a wide verity of design periods including modern day homes. 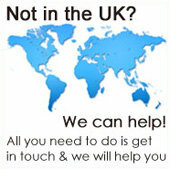 If you require matching metal rockers take a look at our Dual Premier Plus range. 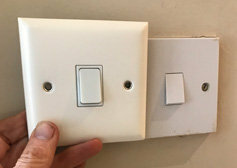 We have supplied these switches to just about every property market in the UK from the finest hotels to the huge Edwardian and Victorian townhouses of London and beyond. We have also supplied many listed buildings throughout the UK with this versatile range of Mayfair Dual electrical accessories. This range includes the highest quality electrical switches on the market today, made in the UK these switches come with a 10 year guarantee against mechanical and electrical failure to give you the confidence that these switches will last the test of time. 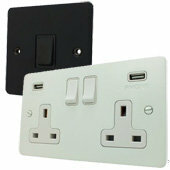 If you need versatile period design features the Mayfair Dual range of Electrical Accessories is the range for you.